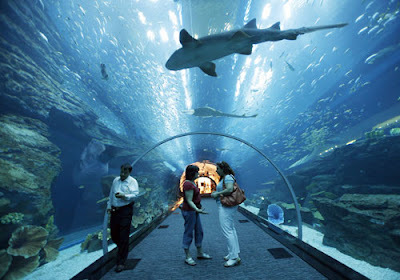 Shark show ... tiger sharks killed at least 40 smaller reef sharks in Burj Dubai Mall's 10 million-litre aquarium. 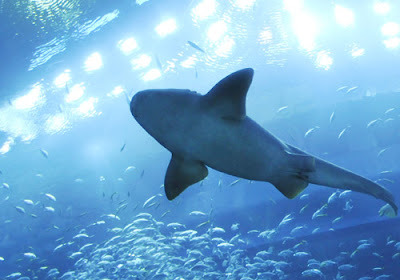 Sounds fishy ... the aquarium is home to more than 33000 living specimens, including 400 sharks. 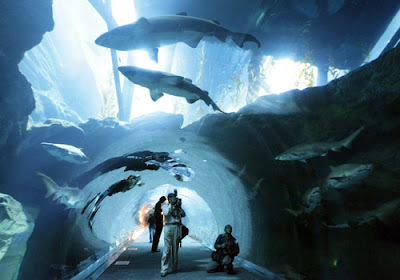 Swim star ... the underwater display features the world's single largest school of sharks and the largest viewing platform. Dangerous work ... divers carrying out tasks in the tank have also been attacked by the aggressive sharks. 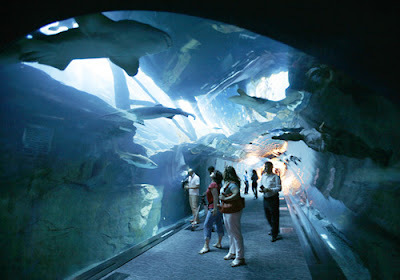 nto the deep ... the aquarium features a 270-degree acrylic walk through tunnel designed to give shoppers close encounters with some of the most diverse marine life on the planet. 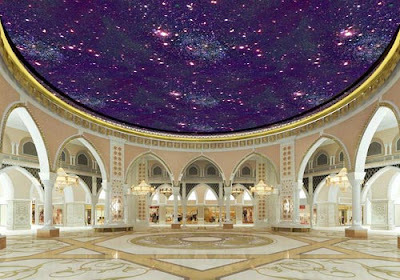 That's gold ... built next to the world's tallest building – the Burj Dubai – the $20 million mall boasts more than 1200 shops and is home to the world's largest gold market. 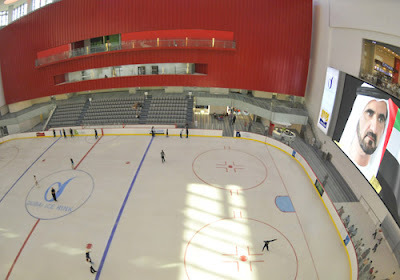 The big chill ... shoppers can can chill out on the Olympic-size ice rink, catch a flick in the 22 cinema screens or indulge in one of the 120 restaurants and cafes. 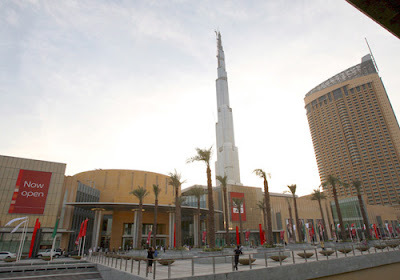 One big shop ... visitors can shop 'til they drop in 220 retail stores or sun themselves next to the adjacent 12ha artificial lake. 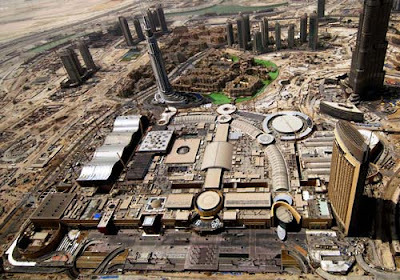 Big brother ... the Burj Dubai Mall sits under the world's tallest building – the Burj Dubai.